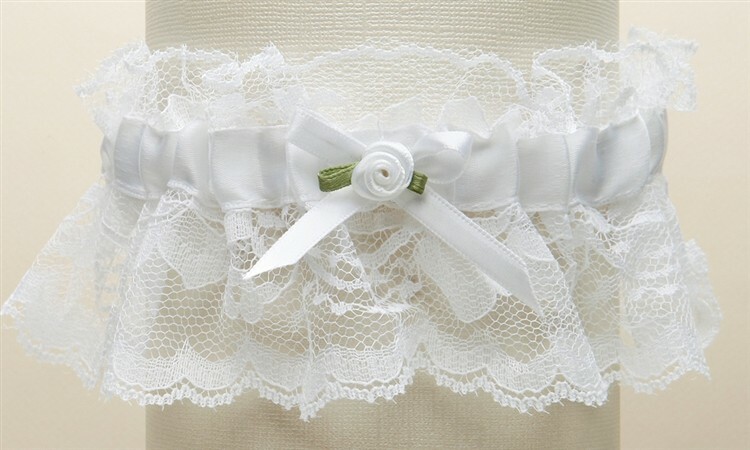 A beautiful and delicate vintage inspired lace wedding garter that is a top selling bridal accessory for second time around brides, proudly made in the USA! 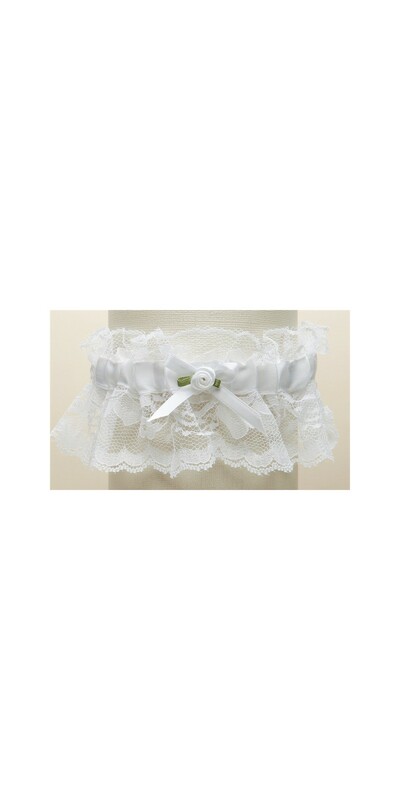 A beautiful and delicate vintage inspired lace wedding garter that are a top selling bridal accessory proudly made in the USA! Featuring victorian inspired antique ruffled lace with a satin band in the center. 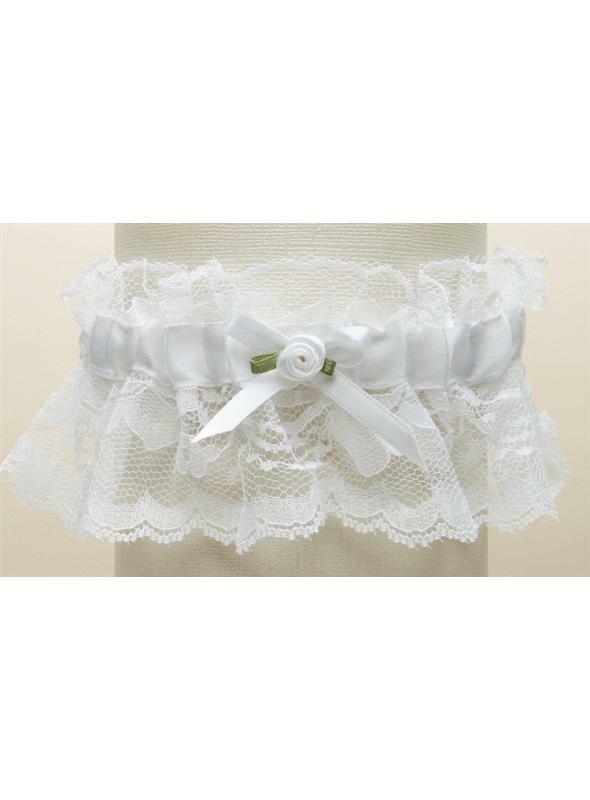 Measuring 2" high, these garters are the perfect bridal accessory for second time around brides. 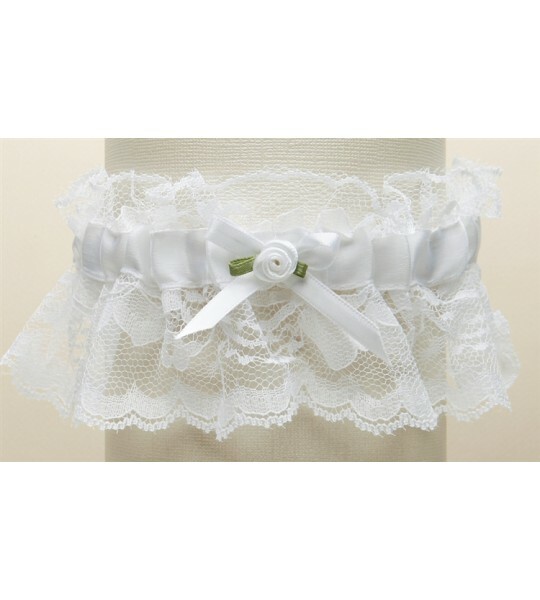 Whether wearing it with our Titanic Downton abbey, or Inga Nataya Couture line of Gowns, we are sure to have the color you need as these garters come in all white, all ivory, white with blue or ivory with blue. They come beautifully boxed and are hand-crafted in the USA.